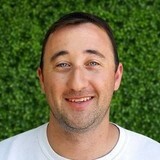 Michael Amico has been helping homeowners discover more economic and sustainable ways to power their homes since 2010. During that time he has helped homeowners in 10 states, receiving praise for his no pressure, honest approach from clients and colleagues. In 2015 Michael received his Masters in Sustainability Leadership at Arizona State University. In his spare time Michael enjoys hiking, biking, camping and soccer. Homeowners are intrigued by solar either because of high electric bills, aspirations for a more sustainable future or both. However many are feeling overwhelmed by options and overbearing sales pitches. As an independent solar advisor I help homeowners find the best option for them. 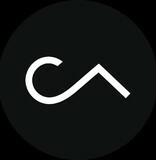 I do not represent one company or the other, I represent you. Lets work together to find the right fit and best price through my network! Genesis California has built a reputation for quality work with each satisfied customer. Our sense of pride is apparent in every job we complete. As North County's premier solar contractor, we are a local business based out of Oceanside, CA. We've all grown up right here, and we take pride in our community and the work that we do. Our promise is to give you the highest value when deciding to go solar. Our integrity goes beyond all other companies, providing customers with clear communication, a positive overall experience, and many financing options that can save you money form day 1, it's easy to switch to solar energy! Taking experience from our contracting background, we have developed a seamless process, hoping that you will take the time to invest in a great opportunity for your home, business, or organization. By going solar, you will have the opportunity to immediately start saving a significant amount of money and do your part in protecting our environment through clean energy. 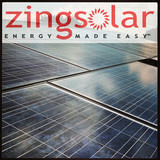 At Zing Solar, our mission is to provide our customers with the ultimate alternative energy solution combined with an exceptional customer service experience. By adapting Solar Power, our customers make a significant contribution to the health of the environment while enjoying a substantial savings each month on their energy bill. This solution combined with our customer-centric business philosophy embodies our mission with the environment and our commitment to our customers. 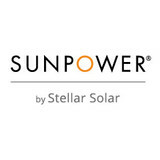 SunPower Stellar Solar is San Diego's premier solar company. Our reputation is the best in San Diego, as we have been voted Best Solar Company in San Diego by the readers of the Union Tribune 5 out of the last 7 years, including in 2017. 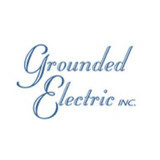 Since 2002, we have been serving the southern California community in providing efficient energy saving products and services. Our goal is to continue serving our local community with same quality for both products and services as we have done in the past years. With capable team members and specialists in the green energy industry, we guarantee to provide our customers what they are looking for. Whether you are tinting windows or installing new solar panels, we are here every step of the way to assist you as best as we can. Southern California Solar Energy provides sustainable, low cost, energy solutions to every eligible home or business owner in CA. We believe in a produce/reduce energy model to offset the highest dollar amount with the Utility and increase individual savings. We believe that as long as the sun shines you should be able enjoy clean abundant power. Backed by decades of experience, Solar Cleaning Now crew is an expert on optimizing your solar energy. Our passion for green energy source is growing daily, and our interest is to maximize yours! Solar panels cleaning - Residential and Commercial. Green Homes Solar and Sunpower California want to service you with the highest energy efficient solar system in the world and provide you with the longest lasting solar panel you can buy! Go Sunpower solar and install the our #1 rated American panel with the most production at the lowest possible cost. We deal direct to the manufacturers to keep you from having to pay extra costs for the quality system you deserve and desire. If you are looking for pv solar in San Diego or anywhere in Southern California, you found the right company. Sunpower solar cells set the Guinness book of world record for most energy efficient solar panel and have a guaranteed annual degradation ("wear and tear") rating of no more than 0.25% per year over the next 25 years. Many home solar panels have between 3.0%-5.0% degradation annually, which is why most people who bought solar in the past are adding to their systems or buying new ones today. Sunpower panels have the lowest degradation and the highest production available. Our systems are installed with the highest quality team and we offer a 100% satisfaction guarantee. Freedom Solar Energy is a southern California solar energy provider that takes pride in our work to give the power back to you and your home! Since we are a family-based business we understand your hard work and time you’ve put in to meeting the needs of your sincere home and family. That’s why here at Freedom Solar Energy our main priority is to help get all those irritating electric bills out of the way so you can have a nice wonderful day at the pool, and enjoy a worry-free vacation away while monitoring your customized at home security system, as well as maintaining power during any blackout or excess billing from the utility company! With the Earth’s most powerful energy source, the sun, you can heat your pool, make your own electricity, and be free to save more money for things that matter most. As a honest, family-based business, Freedom Solar Energy, we give the power back to you and your home! ABOUT US: Integrity Solar Electric Corp. is a family owned and operated company with the most experienced team in Solar PV Design, Sales, and Installation. Integrity Solar's RMO has been a Contractor serving the Southern California, as well as San Diego, commercial and residential market since 2000. We have been specializing exclusively in Solar PV for the past 6 years. Our team’s experience covers over hundreds of residential solar Installations ranging from 3KW to 25KW and commercial solar systems ranging from 30KW to 1/2 megawatt of installed Solar PV in Southern California, Hawaii, Palmyra (South Pacific Atoll – Wildlife Refuge) Headquartered in Escondido, Integrity Solar Electric Corp. is a full service Solar Electric and Renewable Energies firm saving its clients thousands of dollars each year through the design, engineering, sales, installation, and service of Renewable Energy Systems throughout Southern California and beyond. We provide turnkey solutions that are recognized for setting the standard in the market place for high-quality, fair-priced energy systems. As a licensed contractor in the State of California, Integrity Solar's RMO has held a continuous license since 2000, serving the Southern California commercial and residential market. As a business, we have been specializing in solar design/build work since 2012 WHAT WE PROVIDE: Guidance – Integrity Solar employs Energy Consultants not sales people – we find the best solutions to save you money Options – Integrity Solar works to find the best value options whether you decide to purchase, finance, or lease Quality – Integrity Solar searches out the best install partners that have a track record of high quality work that is backed by a written guarantee Familiarity – If you decide to work with us it is probably because you know someone with Integrity or someone who has worked with Integrity and that feels good. Along with off-grid solar, wind and hybrid energy systems that include batteries and backup generators, there are also grid-tied solar and wind operations. Grid-tied systems are attached to your Hill Crest San Diego, CA utility company so if you produce more energy than you use, your meter goes down and you build up energy credits. Find solar energy contractors in Hill Crest San Diego, CA on Houzz. Search the Professionals section for Hill Crest San Diego, CA solar energy contractors or browse Hill Crest San Diego, CA photos of completed installations and look for the solar energy contractor’s contact information.